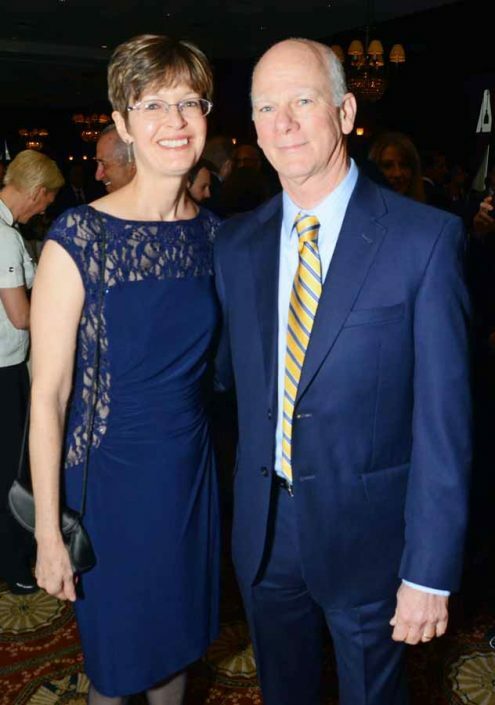 On Wednesday, April 22, 2015, The Sidney Kimmel Cancer Center at Thomas Jefferson University held the Sixth Annual Men’s Event benefiting prostate cancer research and patient care. 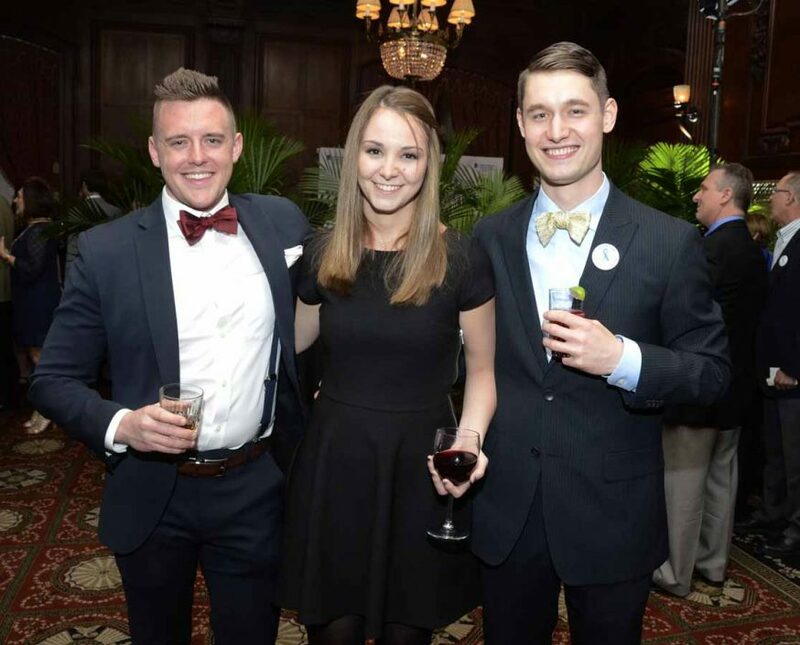 The event was held at the Union League in Philadelphia. 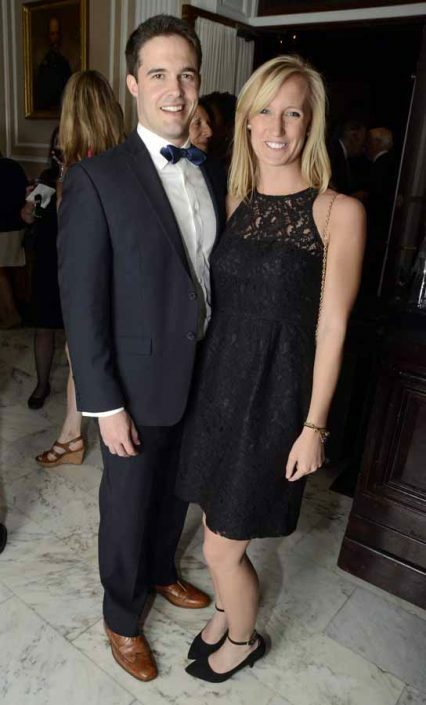 The Men’s Event was emceed by Brian McDonough, medical editor on KYW Newsradio. 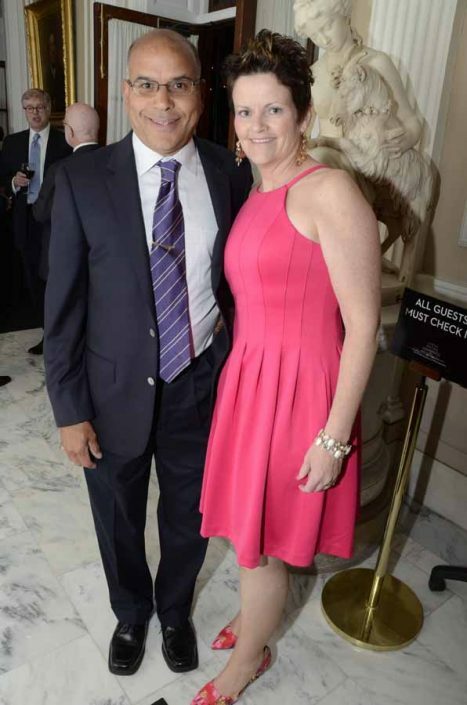 His honorary co-chairs were Dr. Leonard Gomella, chair of the Department of Urology, and Karen E. Knudsen, newly announced Director of Sidney Kimmel Cancer Center. 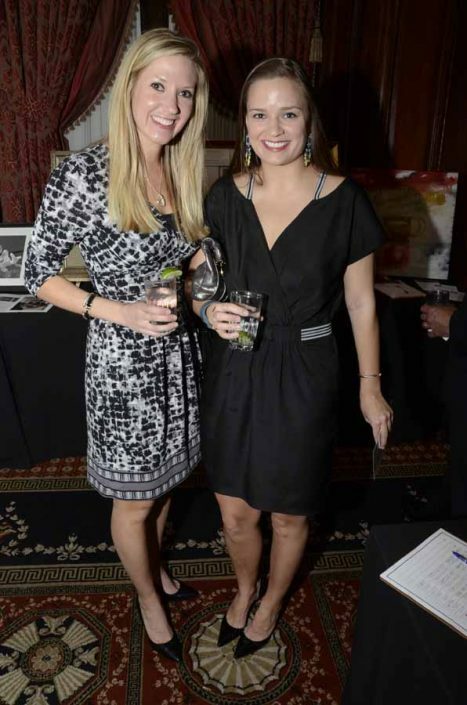 The evening began with a cocktail party and silent auction, before guests sat down to enjoy dinner and the program. During the program Dr. Steve Klasko, president and CEO of Thomas Jefferson University and Jefferson Health System, talked about the great strides Jefferson was making in the field of prostate cancer, as well as how the Sidney Kimmel Cancer Center medical team works well together in all fields with the goal of ending cancer. 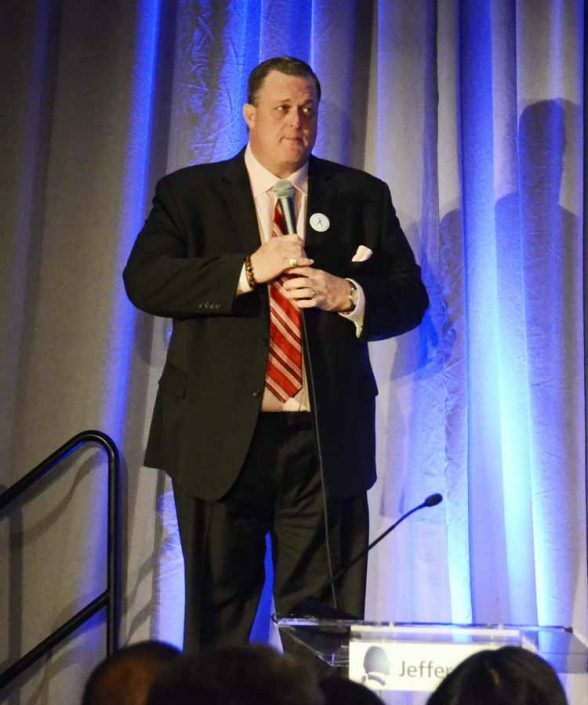 Stand-up comedian Billy Gardell, who currently stars in the popular TV series Mike & Molly, had the 360 guests in stitches as he took shots at the medical field, but mostly focused on marriage, children and aging parents. 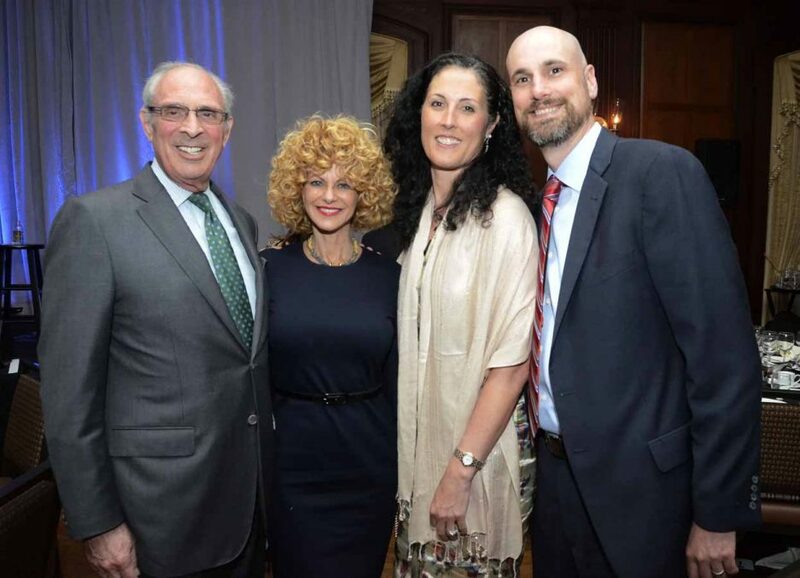 Joseph Weiss, Chairman of international design firm Electronic Ink and Chair of Kimmel Cancer Center Advisory Board at Thomas Jefferson University Hospitals; Sharon Pinkenson, GPFO Executive Director' Dr. Karen E. Knudsen, PhD, Director of Urology Sidney Kimmel Cancer Center; and Brian Costello, Business Development / Partner and Alliance Manager. 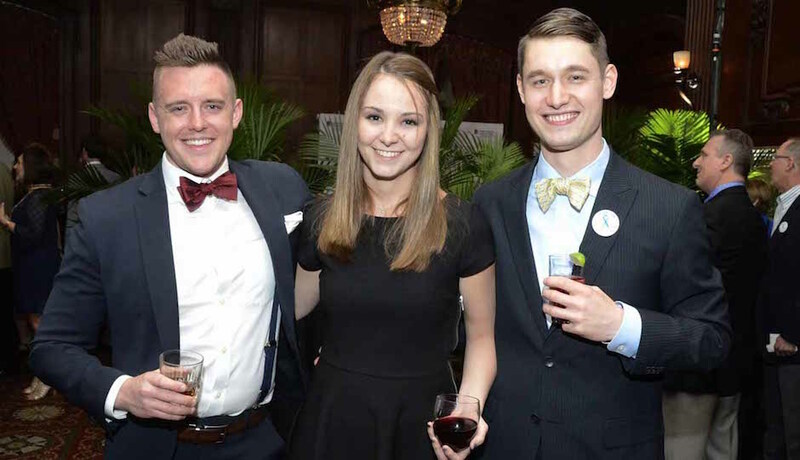 From left: Bob Cwenar; Caroline Donegan; and John Buehler. 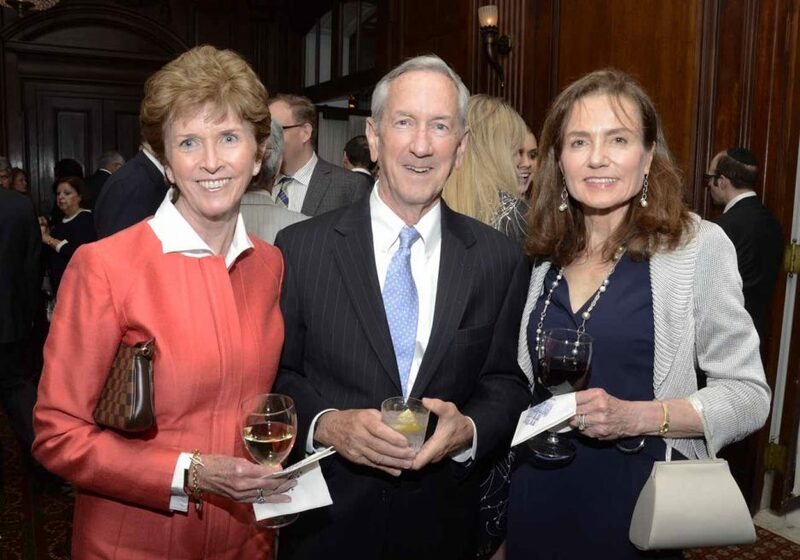 From left: Bernadette Dugan; Jerry Dugan; and Daniele Connelly. 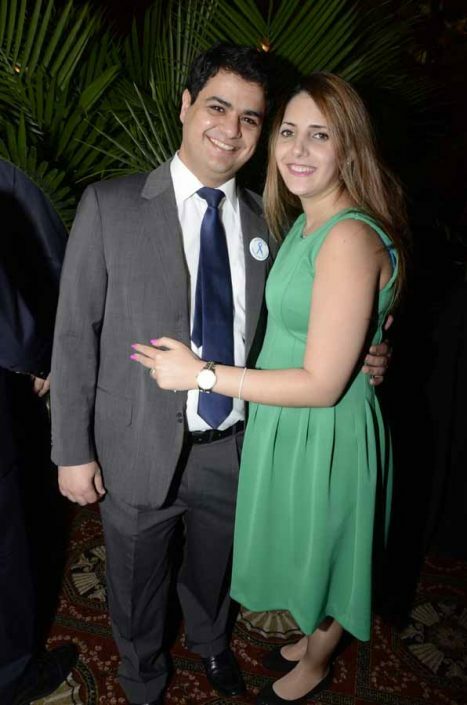 Mutaz Mays and Aljader Abushattal. Ashley Orleans and Elizabeth Ammarell. 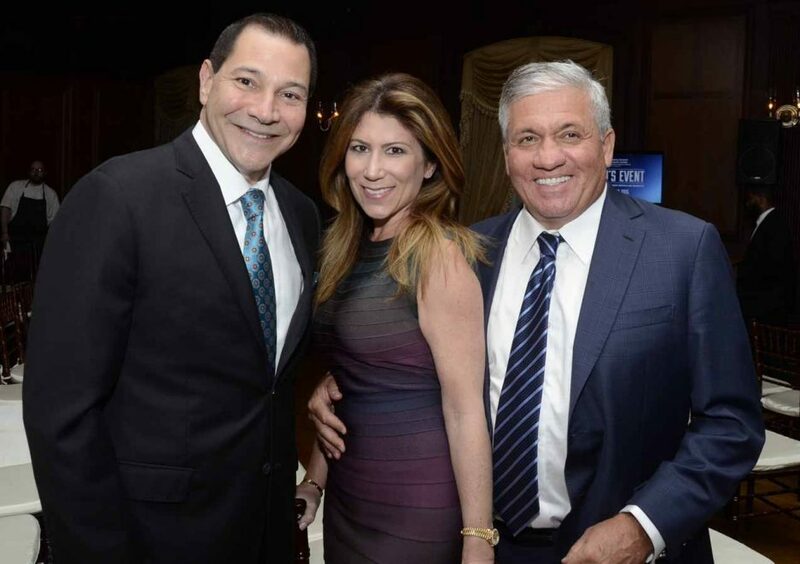 From left: Gary DeVito Esq., Zarwin Baum; Meredith L. Seigle Esq. 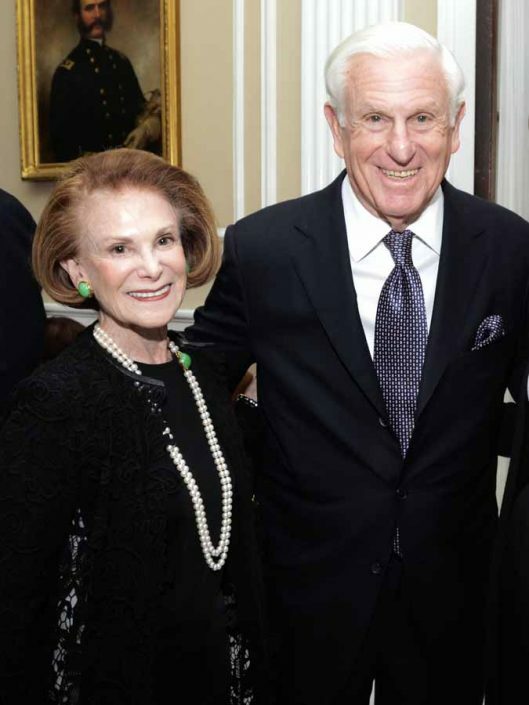 ; and Robert J. Mongeluzzi, Esq., Saltz Mongeluzzi Barrett & Bendesky. 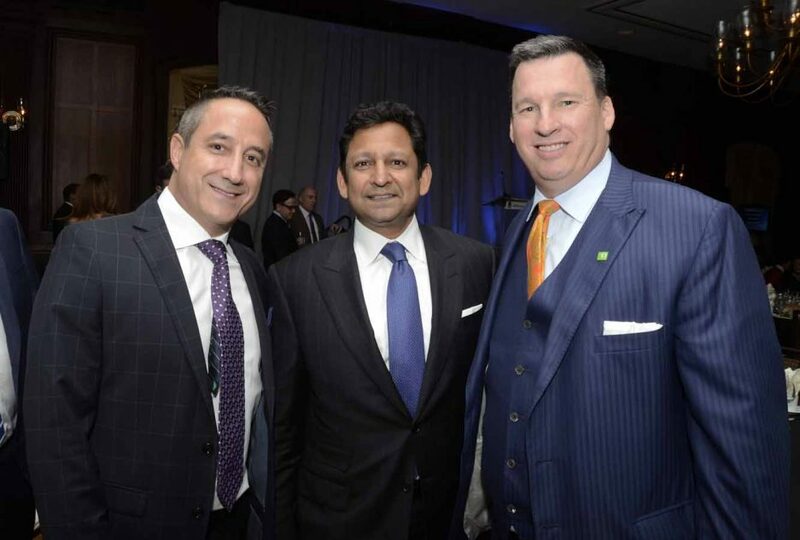 From left: Carmen Tomassetti, Music Producer & CEO of CTO.com; Jay Shah, Hersha Hospitality; and Michael Carbone, Senior Vice President, TD Bank Group. 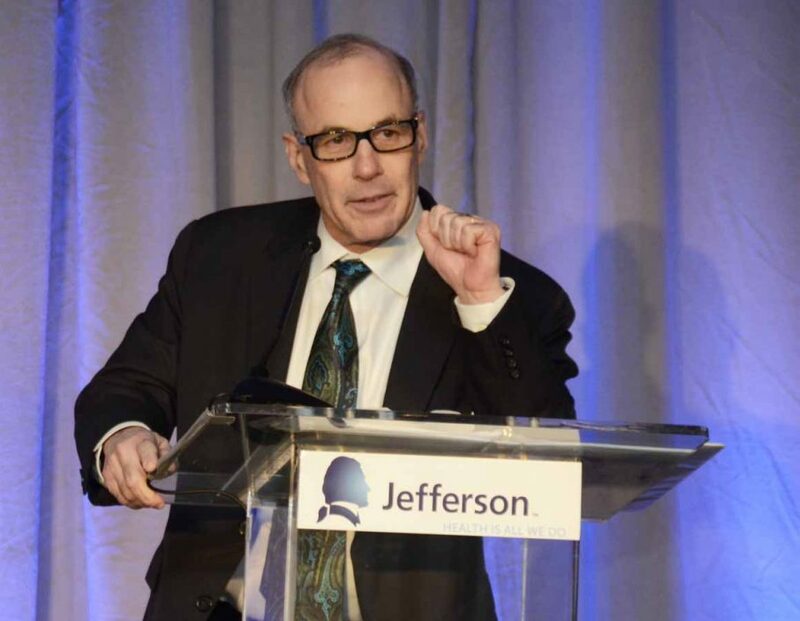 Steve Klasko, MD, MBA, president and CEO of Thomas Jefferson University and Jefferson Health System, greets the guests, and informs them that the Abington Health and Jefferson merger will be complete within a month. 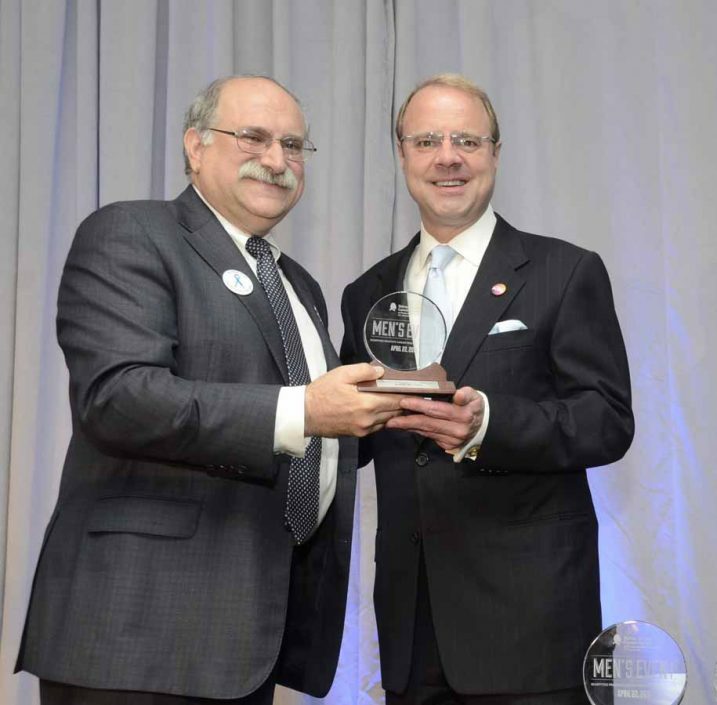 Leonard G. Gomella, MD, Chair, Department of Urology Sidney Kimmel Cancer Center, gives Garth Weldon, Managing Partner of The Prime Rib, the Spirit of Commitment and Generosity Award. For the past five years the Men's Event was held at the Prime Rib before it outgrew it this year, Garth was generous with donations and the organization of the event during those years. 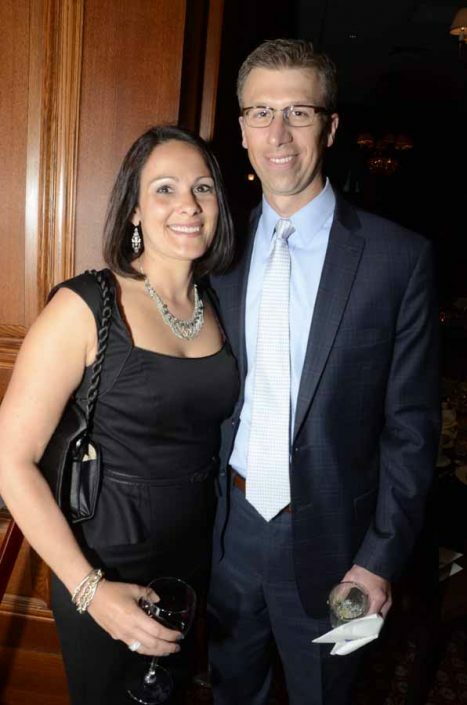 Robert Den, MD, Assistant Professor of Radiation Oncology and Cancer Biology, Department of Radiation Oncology at Thomas Jefferson University and the evening's honoree for the Spirit of Caring Award. 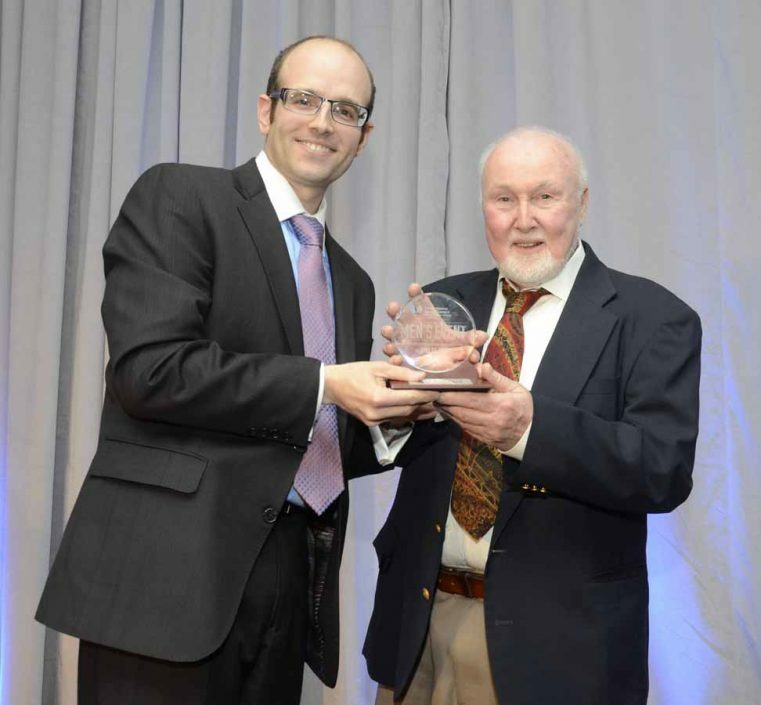 Dr. Den presents the Spirit of Courage Award to Paul Stankard, renowned glass artist, and survivor of prostate cancer, which he handled in stride putting others around him at ease. He also has written two books on his survival. Billy Gardell, stand-up comedian and currently starring in "Mike & Molly," had the 360 guests in stitches as he took shots at the medical field, but mostly focused on marriage, children and aging parents.